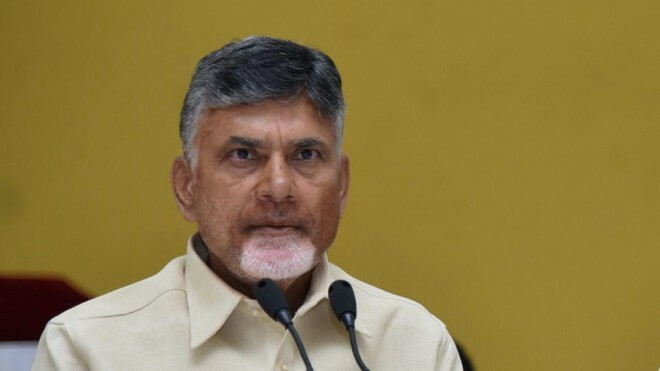 Amaravati, Mar 26: Telugu Desam Party president and Andhra Pradesh chief minister Chandrababu Naidu, who is fighting a tough battle with YSR Congress party headed by Y S Jaganmohan Reddy, is making out all endeavor to hold power. As part of his last dike efforts to win the April 11 assembly elections, Naidu is roping in national leaders opposed to the Bharatiya Janata Party to campaign for the TDP. By taking the help of these national leaders, Naidu wants to drive home a message that he would achieve special category status to Andhra Pradesh with their support. Secondly, Naidu also wants to convey the message to the people that all the leaders opposed to the BJP are supporting his efforts to form a grand alliance and they will not go the so-called federal front proposed to be launched by Telangana Rashtra Samithi president K Chandrasekhar Rao and YSRC leader Jaganmohan Reddy. According to the TDP leaders, several anti-BJP leaders including National Conference president Farooq Abdullah, West Bengal chief minister and Trinamul Congress leader Mamata Banerjee, Janata Dal (S) leader Deve Gowda, Nationalist Congress Party president Sharad Pawar, DMK chief M K Stalin, Rashtriya Janata Dal leader Tejaswi Yadav and Aam Admi Party leader Arvind Kejriwal will take part in the TDP campaign and address the rallies. In reference to them, Farooq Abdullah is already participating in Naidu's election rallies in Kadapa, Allagadda, Nandyal and Kurnool in Rayalaseema region. Kejriwal will campaign for the TDP in Vijayawada on March 28.